This study examines self-harm in a community sample of adolescents. More specifically, the study identifies the prevalence and types of self-harm, elucidates the nature and underlying function of self-harm, and evaluates the relation of psychological adjustment, sociodemographic, and health-risk variables to self-harm. Self-report questionnaires assessing self-harm, adjustment, health behaviors, suicide history, and social desirability were completed by 424 school-based adolescents. Overall, 15% of the adolescents reported engaging in self-harm behavior. Analyses revealed gender differences across behaviors and motivations. 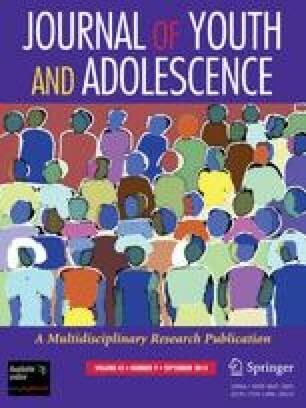 Adolescents who indicated harming themselves reported significantly increased antisocial behavior, emotional distress, anger problems, health risk behaviors, and decreased self-esteem. Results provide support for the coping or affect regulation model of self-harm. Findings suggest that self-harm is associated with maladjustment, suicide, and other health behaviors indicative of risk for negative developmental trajectories. Doctoral student in the Department of Educational and Counseling Psychology at the University of British Columbia. Received M.A. in School Psychology from the University of British Columbia. Research interests include self-harm, anxiety, coping, and street-involved youth. Associate Professor in the Department of Educational and Counseling Psychology at the University of British Columbia. Received Ph.D. from the University of Iowa. Research interests include adolescent social-cognitive development, developmental psychopathology, and stress and coping.